Bit of an Olympian heavyweight boxing bout this one with so many big hitters involved. 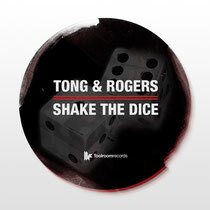 The prolific production duo of Pete Tong & Paul Rogers, the remixing prowess of rapidly-rising-in-profile Pirupa, and then, the might of Toolroom Records to release it all as a package. And what a package it is too, with two mixes of the deepest, tribal tech house we’ve heard in a while. The original mix just oozes funk, complete with big basslines and the obligatory vocal hook, which although we’re not sure what it is, it adds to the track with its authentic ‘shake the dice’ voice and crowd noise. On the remix, Italian stallion Pirupa toughens the bassline, but still keeps it on a tech vibe, filtering the sample in and out and messing with your head on the journey - the breakdown he adds is just genius. This really is top stuff and it’s easy to see why it’s gained support from a cross section of DJs from Dubfire to Joris Voorn and many more. It’s just out this week so check it out below and judge for yourselves.